When you work it home it's hard to make a break from work, and it brings whole new meaning to the term 'staycation'. The break turns into a spot of work here and there, but mostly on the things that you really enjoy doing. Here's what I've enjoyed doing over my 'break'. 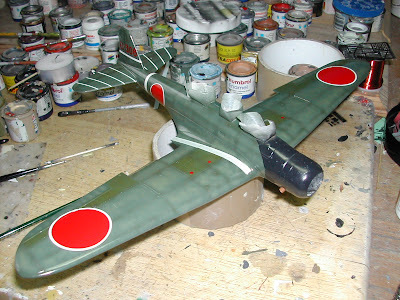 I've just finished this Fine Molds A7M2 Reppu 'Sam', and very lovely it was too. It has the full cockpit and engine treatment, though the interior was a little patchy. It was a large and unusual model, and I think it's quite something. Coming up behind the 'Sam' is the B5N2 'Kate'. 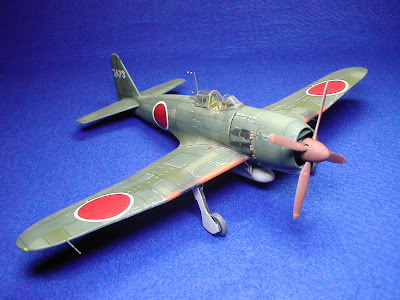 There are some makes of model that if you merely built them from the box, you would be disappointed with the result. 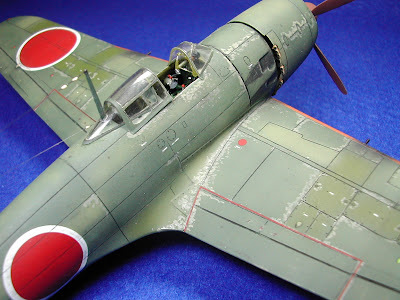 Hasegawa are not one of these, and give you a proper kit. The three-crew cockpit, for example, is so convincing it inspires the builder to do his very best to bring out all that lovely detail. More on this interesting project later. Last, but by no means least is the Mystere IV from Fonderie. 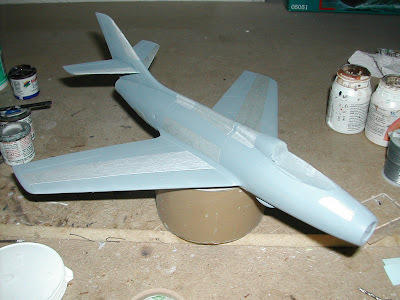 Having overcome the obstacles it presented this far, the model is now being prepared for its bare metal finish. The tactical masking will bring out the subtle metal 'tones'. This promises to be a very bright and eye catching model when complete. Aircraft from this era have always been of interest to me, partly for their bold colour schemes. So it was a pretty good break, all in all.